SB277, the law passed by the Assembly today, contains language that would allow a certain amount of grandfathering for those who already have personal belief exemptions. To wit, unvaccinated kids can stay unvaccinated and still remain in school until the next "grade span," as long as their exemption is on file before Jan. 1, 2016. That means children cannot enter preschool, kindergarten or seventh grade without their shots, but can continue to go to school between those junctures. So an unvaccinated child who is in kindergarten, for example, could avoid getting immunized for seven years, until she reaches seventh grade. 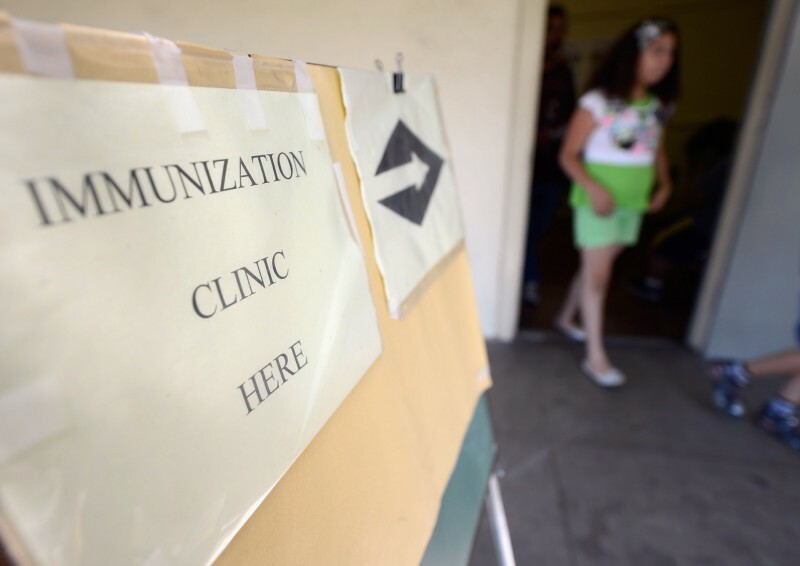 Jodi Hicks, with the California Academy of Family Physicians, a supporter of the bill, said that if you changed schools, you might also have to prove your child has been vaccinated, no matter which grade you were in. Hicks said the grandfathering was included so schools could implement the new requirements "with as little disruption as possible," retaining all the current "checkpoints" at which vaccinations are currently verified. (P)erhaps the most significant compromise was the authors' pledge to "grandfather in" many public and private school students whose parents have claimed personal belief exemptions. That would mean that more than 13,000 children who have had no vaccinations by first grade won't have to get their shots until they enter seventh grade. And nearly 10,000 seventh-graders who today aren't fully vaccinated may be able to avoid future shots because the state does not always require them after that grade. "By scaling back the bill's reach, their chance of success becomes much greater," said Dan Schnur, director of the University of Southern California's Unruh Institute of Politics. Because the bill was amended in the Assembly, it now goes back to the Senate for another vote before it can be sent to Gov. Jerry Brown. The governor has not said directly that he would sign the bill, but there have been indications that he is at least leaning that way.